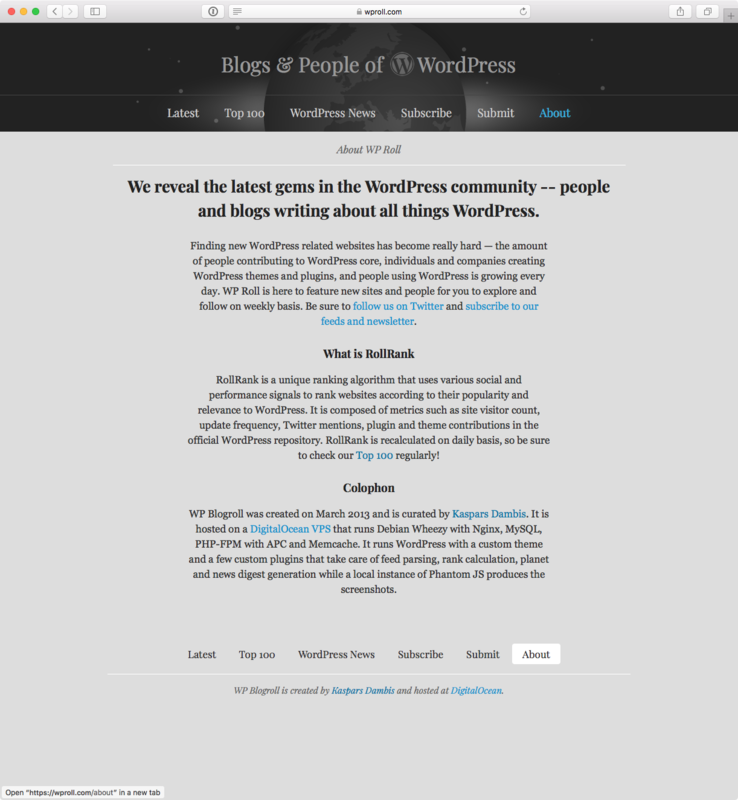 I’ve decided to retire the WordPress blogroll project that I started in 2013. 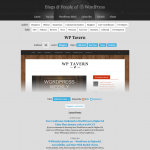 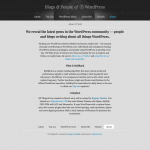 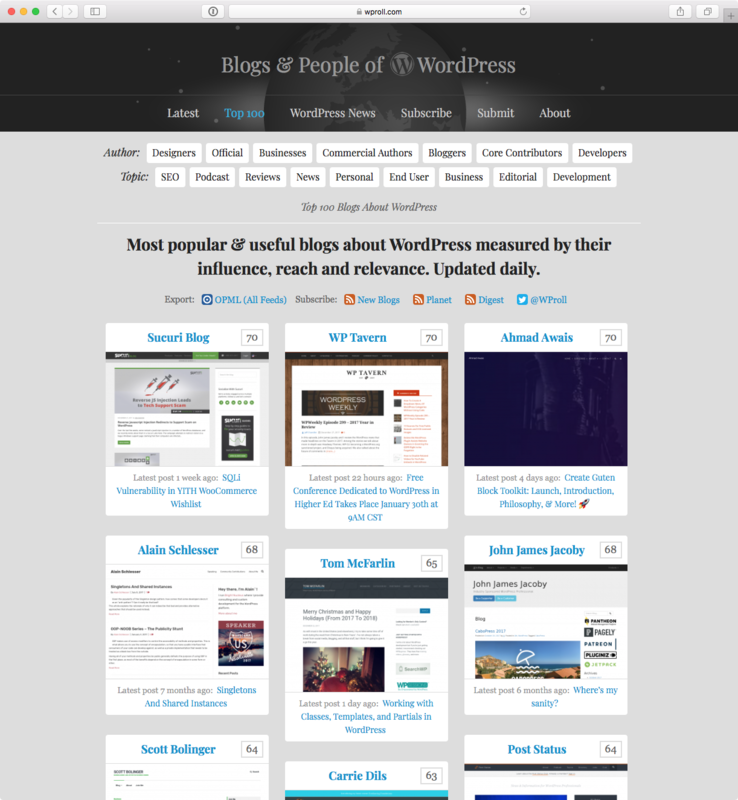 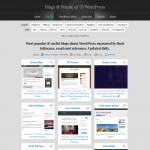 It was originally built to share the list of WordPress related blogs that I was following on Google Reader. 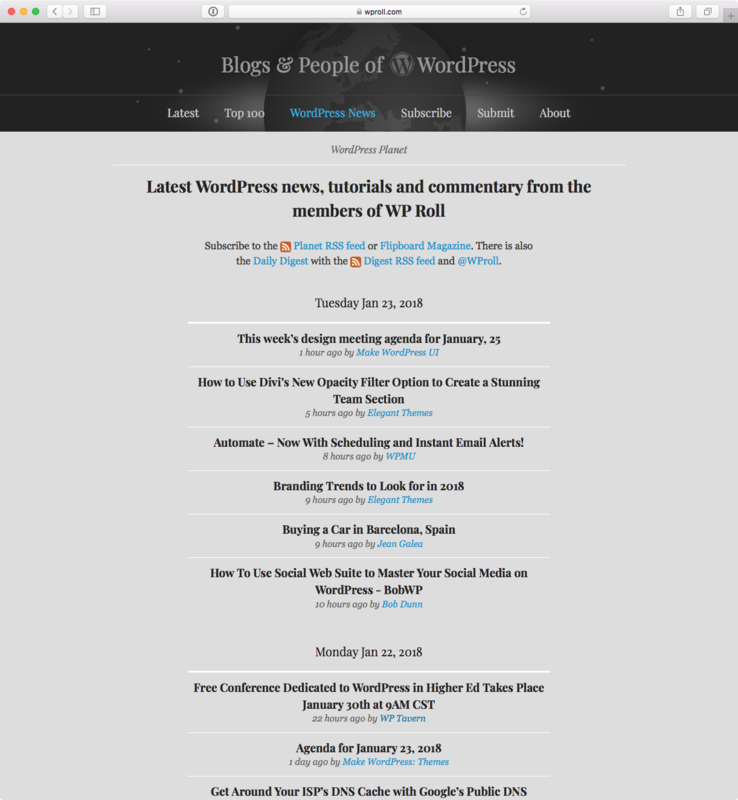 I’ve since switched to Feedly and here is my current list of WordPress related feeds (also available as OPML). 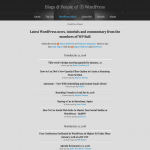 I remember how hard it was to build a screenshot engine that could render web fonts and handle all kinds or redirects and TLS certificate errors. 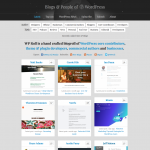 Here are the scripts that have been running reliably for the past few years with PhantomJS. It also had a PHP script that automatically published all posts to this Flipboard magazine. Oh, I had the same idea and built WP Dev News. 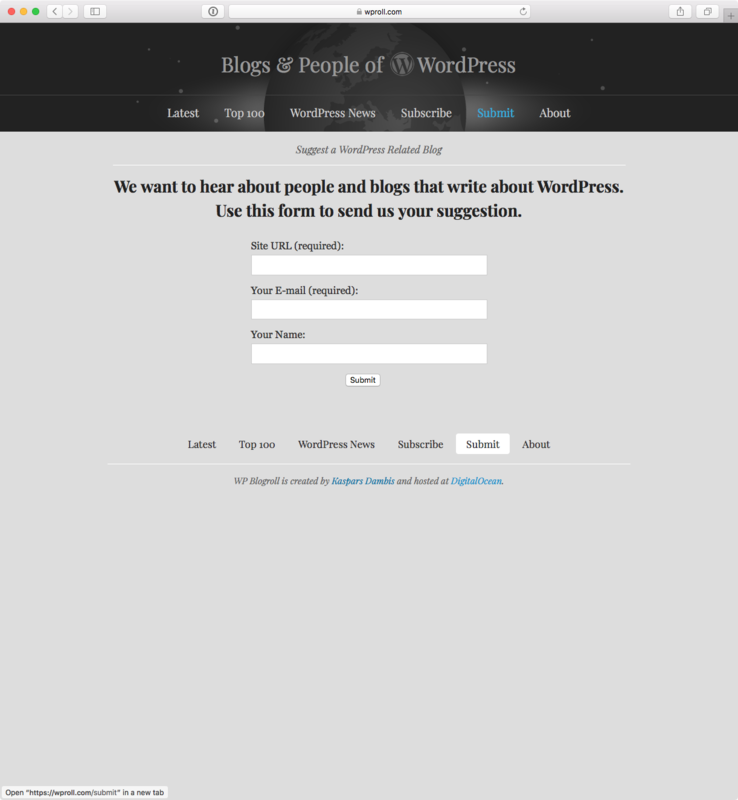 Your site looks really great.